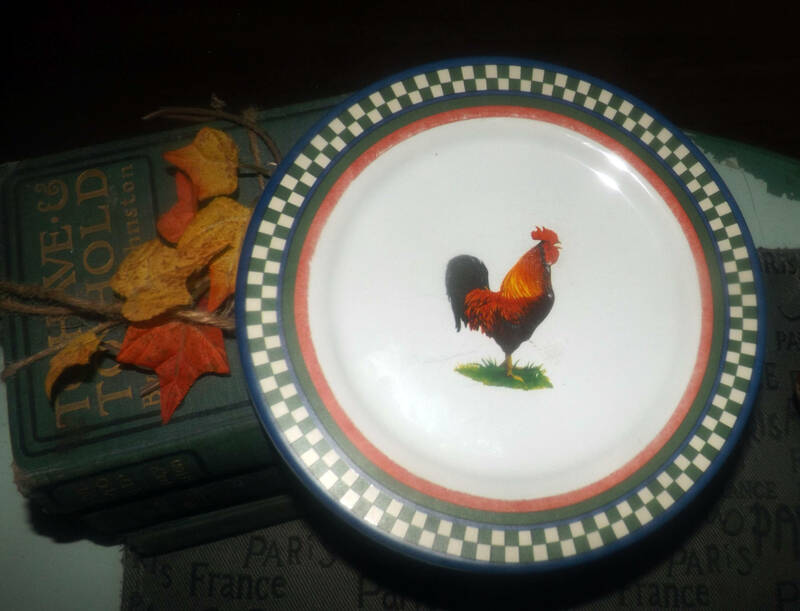 Vintage (1993) Ella's Rooster salad plate. Bob Timberlake International Tableworks. 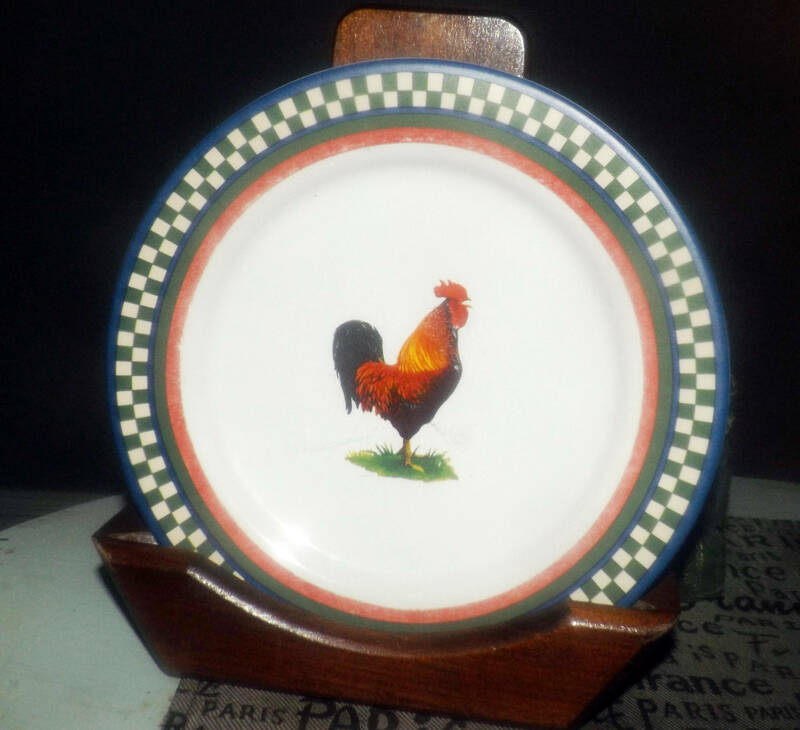 Central rooster, green, yellow checks. 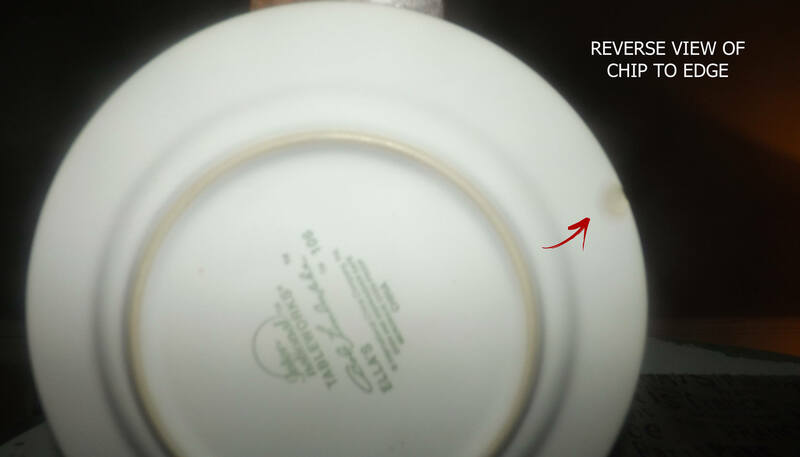 Minor flaw. 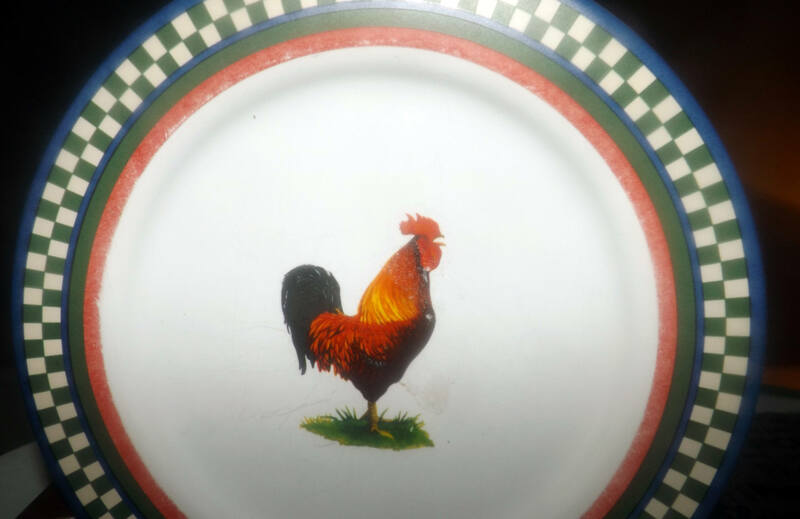 Vintage (1992 - 1993) Ella's Rooster salad or side plate designed by American artist Bob Timberlake for International Tableworks featuring a central image of the rooster! with a green and yellow checkerboard border pattern and red and green bands. 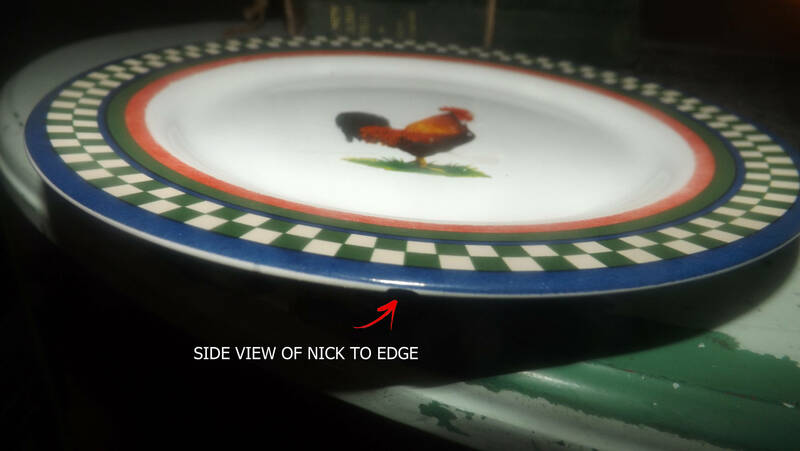 Plate has a blue edge. 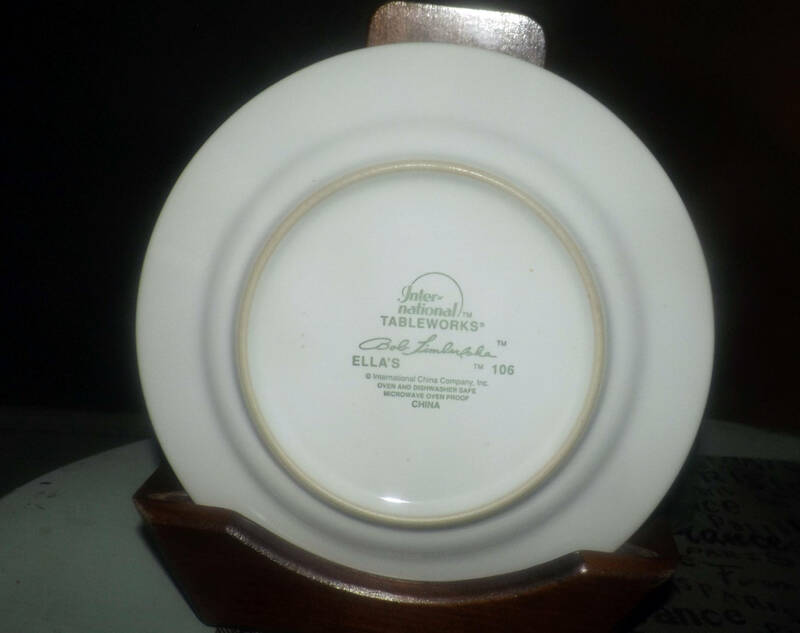 Approximate measurements: just under 8" in diameter (measured edge to edge) with a smooth edge.